Larbi Sensei has been teaching at our dojo every May and November for the past few years and each time the number of students increases. 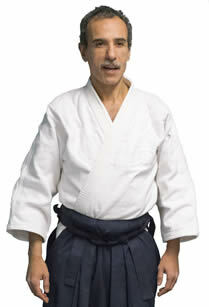 I feel honoured that Larbi Sensei has agreed to aide in the development of our aikido and this can only strengthen our club, training and skills. Larbi Sensei’s next weekend course will be May 15-17th 2015, do not miss out on this great opportunity.